Convert DOC to Unicode with CoolUtils tool! 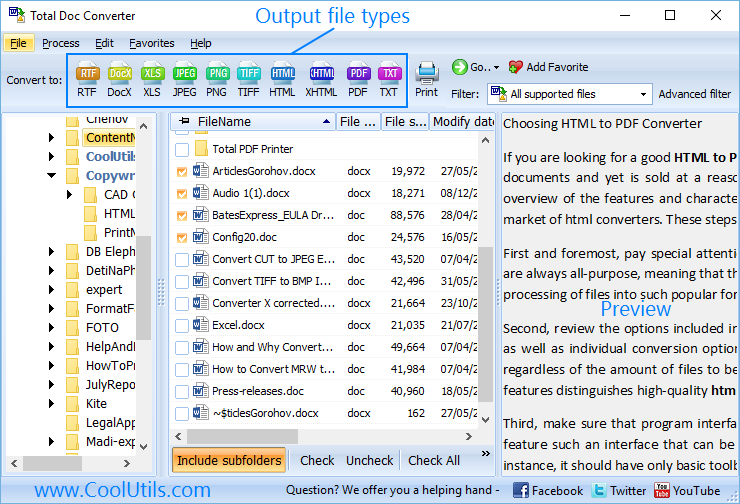 You are here: CoolUtils > Total Doc Converter > Convert DOC to Unicode with CoolUtils tool! 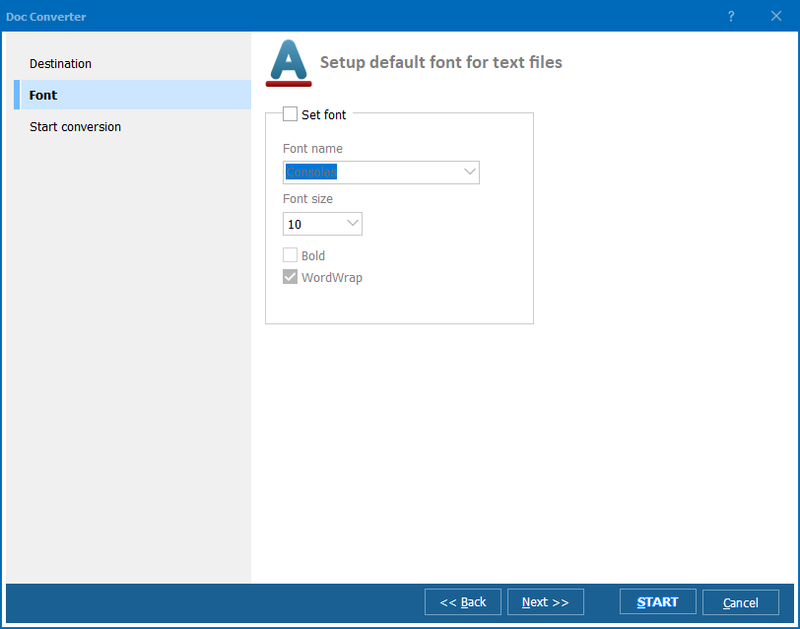 DOC format is a native one for Microsoft Word 2003 and older versions. It is a handy format for storing text documents with different additional elements like graphics, tables, etc. DOC is not supported by many other text editors, so DOC files have limited compatibility with them. This problem is solved by converting DOC into Unicode text format that is supported by all text editing programs. Unicode will save only text data from DOC originals, without formatting and graphics. It is perfect for creating backup data storage or copies of large DOC files for sharing via email. The program has such interface that automatically directs user to every next step of conversion. First you need to check off sources for conversion. There is a built-in navigation menu, where you can access any memory folder. 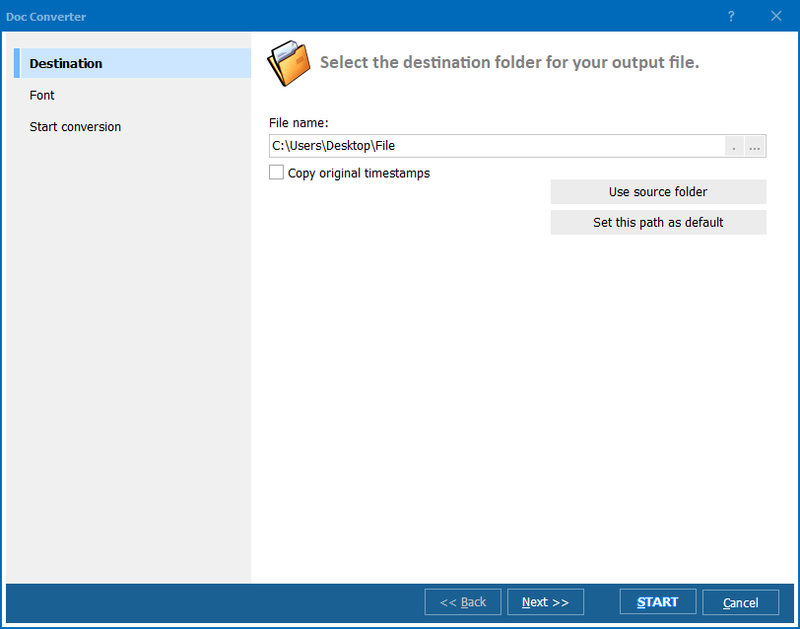 When clicking on folder from the tree, you will see the list of files it contains in the program windows. There just check off required files and press Unicode. The settings manager of Unicode converter will popup. There you need to set destination and other options you consider suitable. When all settings are done, simply press Start! and a program will convert Doc to Unicode in a few seconds. 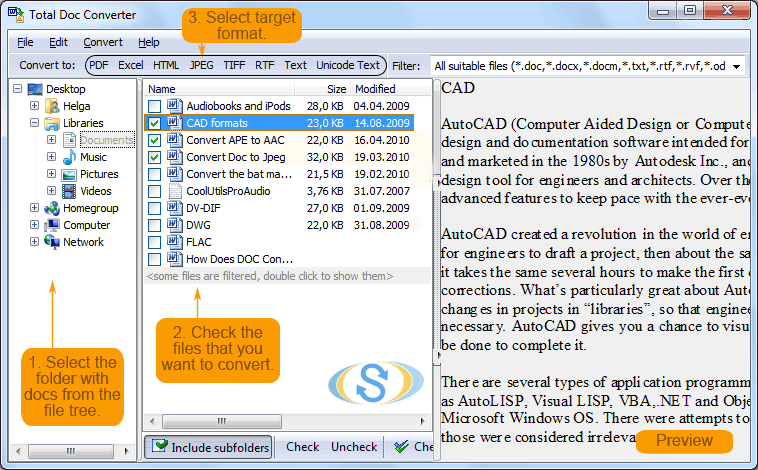 The time required for converting your source documents depends on how many files you selected. Usually it is not more than a minute. 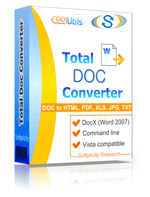 Try Total Doc Converter on your files for free. Trial version is valid for 30 days of free use.